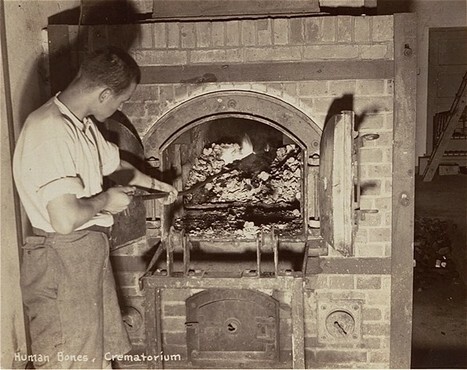 A survivor stokes smoldering human remains in a crematorium oven that was still lit in the Dachau camp. Photograph taken upon the liberation of the camp. Dachau, Germany, April 29-May 1, 1945.